While Ethereum has recently seen a 14% drop, it remains in the #2 spot for market cap behind BTC. Some speculate that out of drops, Bitcoin’s will be the greatest which would allow Ethereum to finally surpass the longstanding titan. It’s no lie that Ethereum has eyed the #1 spot for some time, but the network needs to be strategic and save its efforts for a time when Bitcoin falls off the cryptocurrency limelight to steal it away. At the moment, every cryptocoin has been impacted by recent scandals, impending regulations, and hackers. Because of this, everyone is wondering how safe cryptocurrency really is. Safety comes as a concern as a number of cryptocurrency trading platforms have been attacked with cryptocoins stolen overnight. One, in particular, known as Taylor was hacked and through the advanced attack lost 2,578 ETH and some TAY tokens. Many are questioning whether supporting platforms can be trusted to handle their cryptocurrency. Ether’s price per coin began collapsing once Bitfinex began dumping Ether which caused other exchanges to follow suit this significantly hurt Ether’s circulation and value; Bitfinex is known as the 4th largest digital currency exchange ranked by overall trade volume and processes 12% of all Ether transactions. Therefore, a dump of Ether by Bitfinex and other exchanges negatively affected the price per coin. 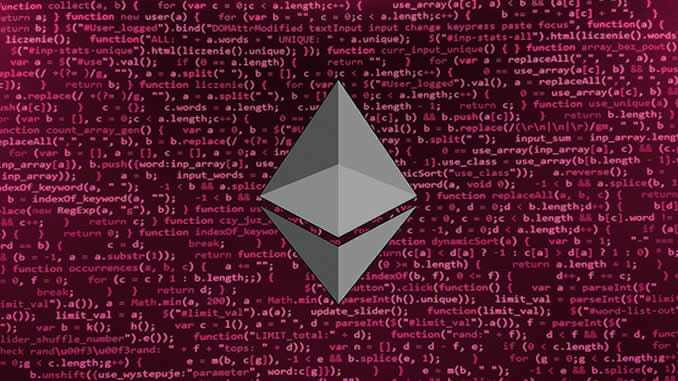 However, even with that set back the Ethereum network has remained on a steady growth path since its inception and in more recent years seen an accelerated growth rate. This is because a large number of industries have come forth and announced pilot projects and interest in Ethereum and its applications. The projects Ethereum has taken with other brands and industries has increased by tenfold since 2017 which some speculate could be the beginning of the flippening. With billions of dollars funding Ethereum projects and collaborations, a takeover of Bitcoin could be in the works which would launch Ethereum into the #1 spot. This growth could easily double or even triple coin price and substantially increase its market cap by the end of 2018. Critics speculated that growth like this would take 3-5 years to come but it may be sooner than anyone had expected, especially with the rising disappointments and rigidity Bitcoin has revealed. Ethereum investments are toward industries that would help develop not only Ethereum as a household name but also global and institutional advancements. Fintech or financial technologies, oil, gas, government, gambling, retail, and more all stand to benefit from Ethereum’s technology. Even the Philippines is giving Ethereum a shot through a blockchain startup known as Consensys which would offer banking options and support for rural banks in Mindanao to connect them to the main island’s financial network. Five rural financial institutions, under Project ‘i2i’, will pilot the use of a real-time retail payment system between the islands. If this pilot is successful, there should be more applications of this Ethereum technology to the remaining 1/3 of cities and municipalities in the Philippines that are unbanked. Will more and more applications and brands utilizing Ethereum there is no doubt that a flippening should occur later this year.